This was followed by one of the most haunting harmonica solos ever played. It was a track that still got played sometimes at the Wheel even as late as 1969 and certainly more often at the Blue Note. 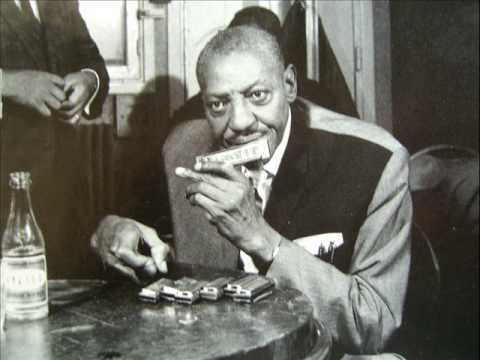 Sonny Boy Williamson was the second ‘Sonny Boy’ but he was old enough to have played with Robert Johnson – or was he? It was a great moment for me when I bought him a cup of coffee in the Twisted Wheel on Christmas Eve 1964 after he finished his set. He had the bowler hat and the Black and white Chequered suit (Chequer Records bought it for him, he told me). He showed me his smallest harmonica in the world, which he had just played in his nose but I didn’t take it from him for a close look! I remember a girl near the stage saying ‘he’s a dirty old man – playing his harmonica up his nose’ – not to everyone’s taste. He appeared several times at the Twisted Wheel club in Manchester and it was Roger Eagle the DJ at the club who organised his appearance booking. Roger often played “Help Me” back to back with Howlin’ Wolf’s “Smokestack Lightenin'” and they became coupled in my memories. Saturday February 15th December 26 Boxing Day 1964 SECOND APPERANCE (backed by Spencer Davis Group) My memories of that Christmas time night are noted in my book, and further details on our Manchester Soul site under LIVE ARTISTS APPEARING @ The Wheel 63 Our favourite songs were: HELP ME, Your funeral and my Trial, Fattening Frogs for Snakes, Bye Bye Birdie. These tracks were regularly played by Roger Eagle at the Wheel in 64/65. 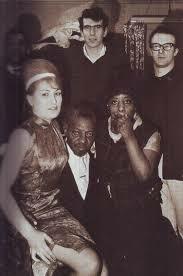 Sonny Boy appeared also at the Manchester Free Trade Hall and on Granada TV around the same period. The full interesting and funny story of it all is recounted in the book: SITE DOWN AND LISTEN TO THIS The Roger Eagle Story by Bill Sykes, but other than the Sonny Boy info the book misses out much of Rogers time at the Wheel & Blue Note clubs in Manchester. We owe a great deal to Roger Eagle who tutored us in appreciation of Black American Blues & Soul artists in the sixties. He had a bag full of harmonicas, from very tiny to large. He made sounds and bent notes so amazingly. After seeing him many of my pals tried to get (Honer/Marine- Band) harmonica to sound like that, we even bashed them with hammers to distort them, tried putting them in buckets of water but nothing really got that Sonny Boy sound. Sonny Boy at Roger Eagles flat: Roger is behind the Harmonica Man: Pic from the Book Site Down Listen To This.